Our blog is now alive! We've moved our blog from BlackMax Media across to Digital Finery, stay tuned for more updates. For the 8th month in a row, Digital Finery have been awarded the number 2 spot for "Best Web Design Company in Australia" from Topseos, just missing out on 1st place by 1%! Fingers crossed next month gets us over the line and awarded 1st place. Digital Finery has been independently voted the 2nd Best Web Design Company in Australia by Topseos.com! Topseo's looks at knowledge of how to create clean, effective designs and evaluates each company by an assigned research team with independent authority. An effective web design can separate your company from the rest of your competition. Digital Finery have demonstrated the ability to produce leading web designs that will help your business stand out. Need a Professional to Manage your Google AdWords Campaign? 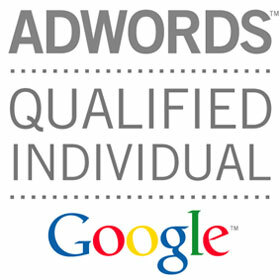 Digital Finery has re-qualified as an Google AdWords Professional. This means we have more free $100 vouchers from Google for clients who are yet to try AdWords. It also means we are able to reduce your spend on AdWords whilst delivering you more traffic. Digital Finery and Google are removing any risk from your AdWords trial. Google will provide the $100 credit and we'll provide the landing page. Just wait until you see the results! Digital Finery is taking part in Earth Hour. We are constantly looking at how we can reduce our environmental footprint. Allowing our staff to work remotely is one advantage we have in reducing carbon emissions. Being in the digital industry, we rarely turn the printer on and only print when absolutely necessary, and after that everything is recycled. Digital Finery are doing their bit for the environment. Are you doing yours?